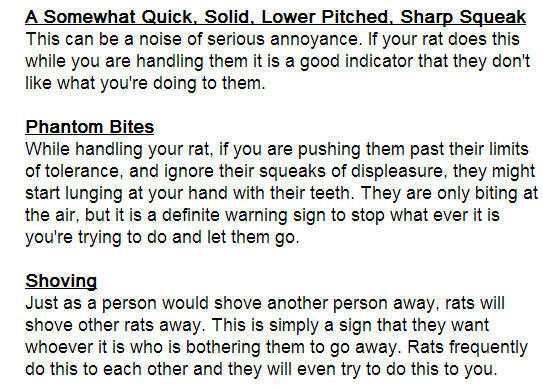 Now read on and view great photographs and descriptions on “Signs of Joy”, “Signs of Fear or Pain”, “Signs of Annoyance”, “Signs of Anger”, “Agonistic Behaviors” [Full disclosure: RattyRat called this dominance, which I believe to be outdated and misleading], “Marking Behavior”, “Signs of Sexual Arousal”, and lots more under “Miscellaneous”. 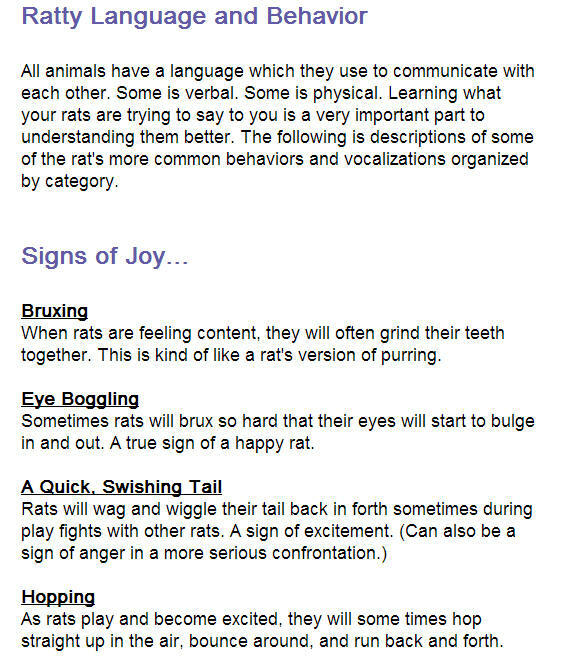 For this first section on Joy, I will add that Bruxing, Boggling, and Tail-Flicking can also be signs of annoyance or anger. 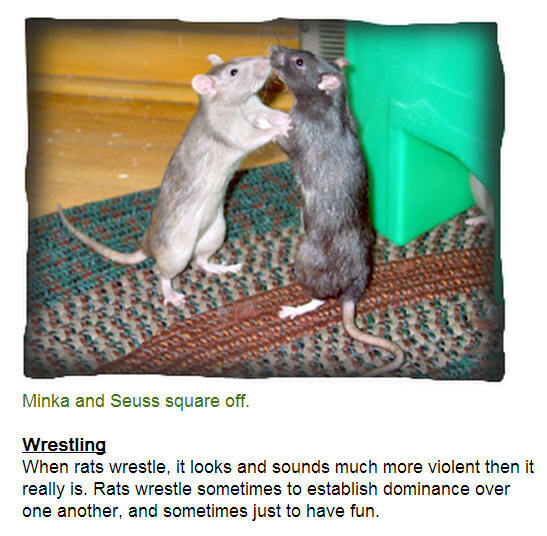 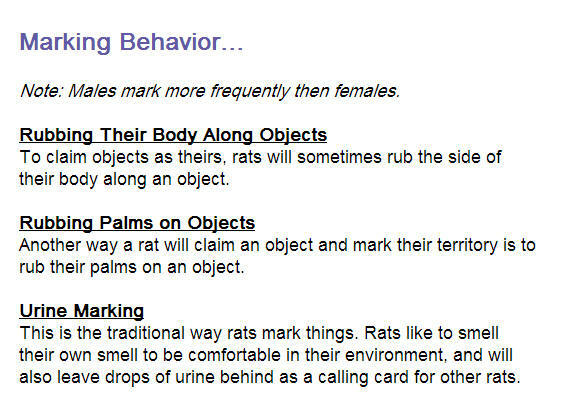 A good way to think about the behavior in general is that it occurs when the rat is physiologically aroused, either positively (as in happy) or negatively (as in unhappy). 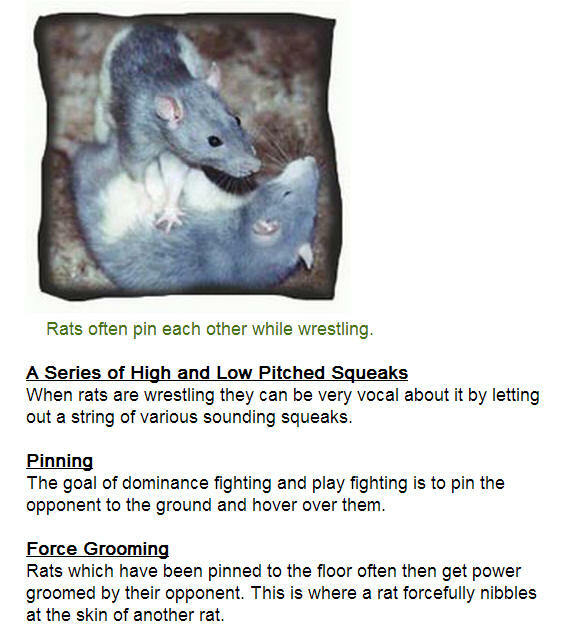 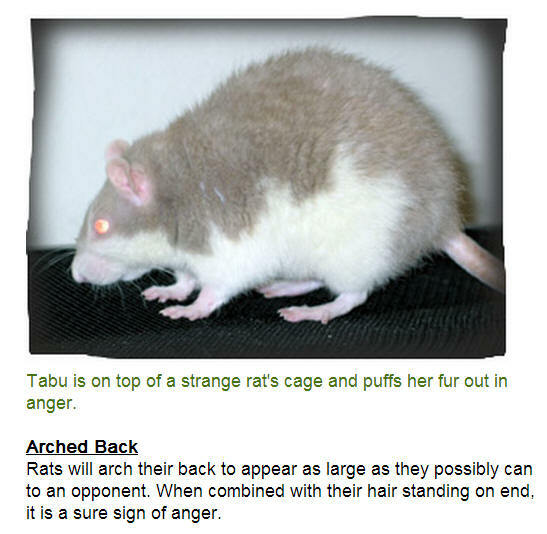 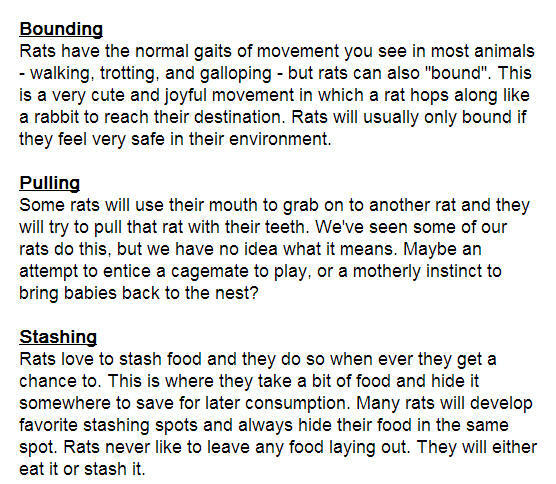 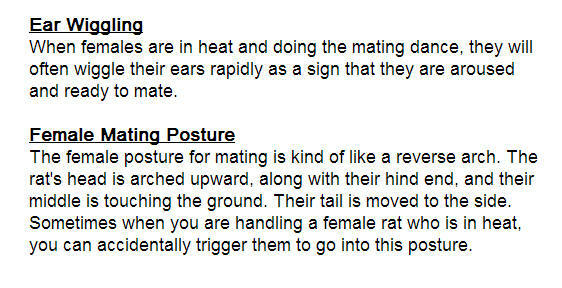 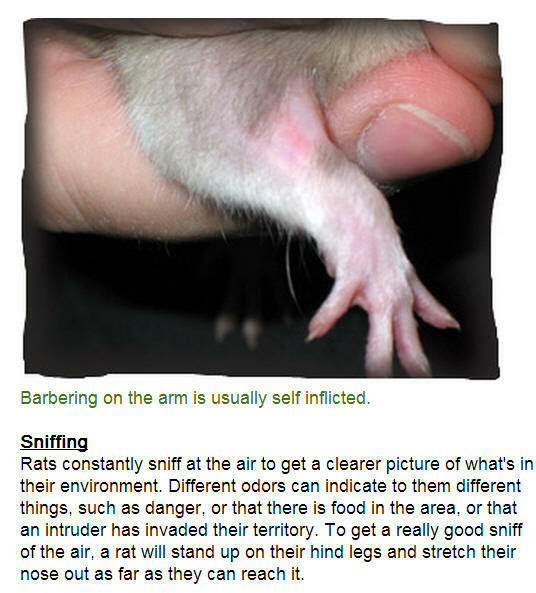 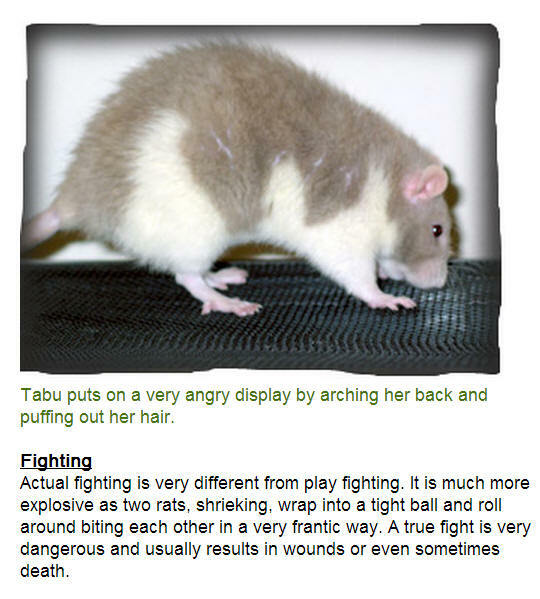 For tail-flicking, many video examples can be found in Tail-Flicking in Pet Rats, YouTube 1 of 2 and in Tail-Flicking in Pet Rats, YouTube 2 of 2. 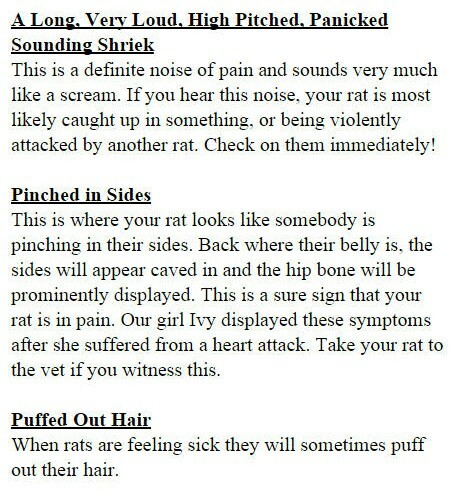 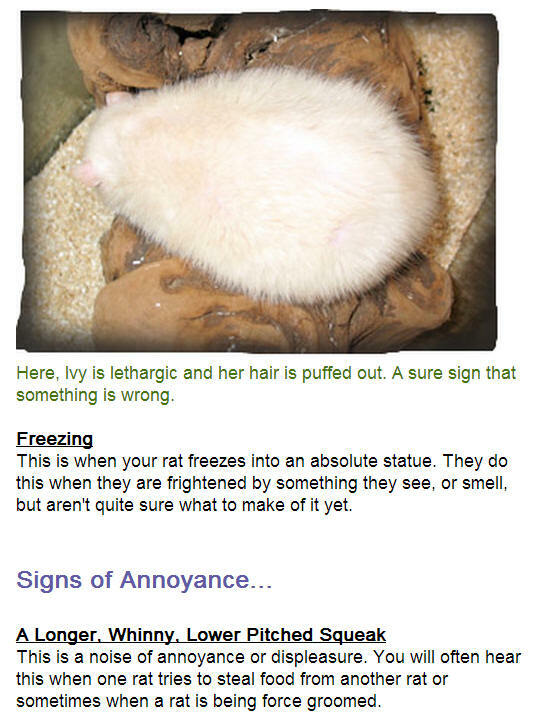 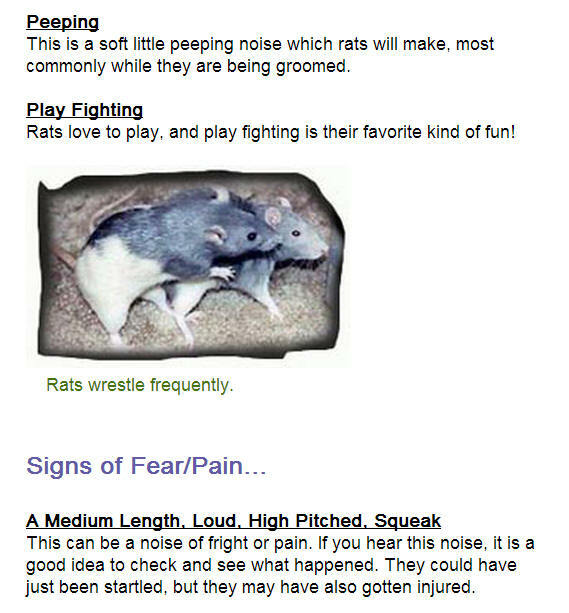 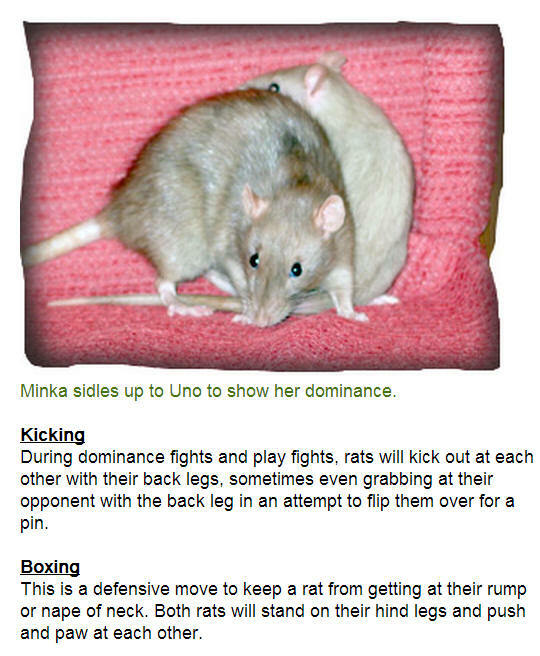 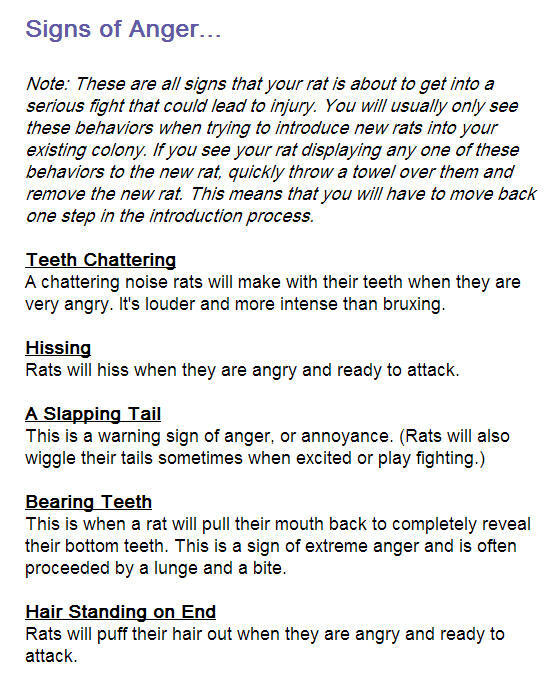 At the bottom of the second page is one video where the rat appears annoyed. 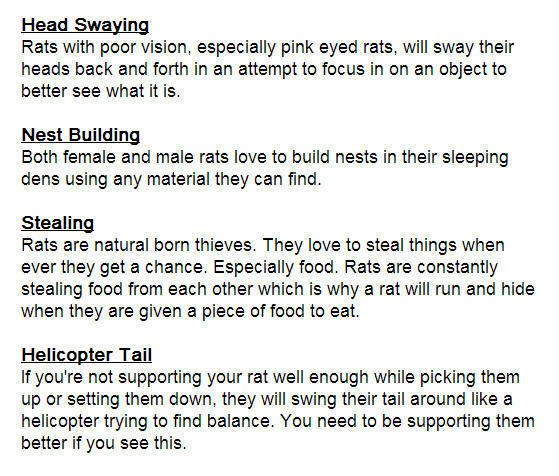 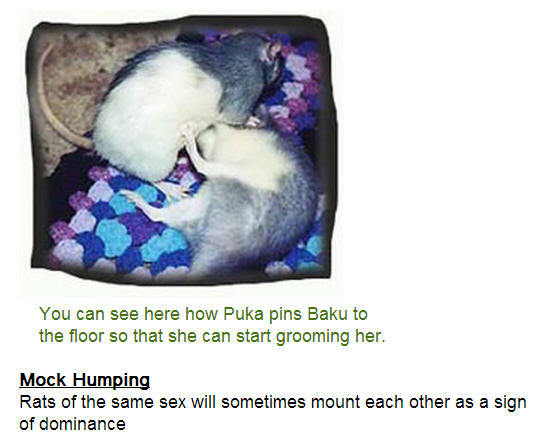 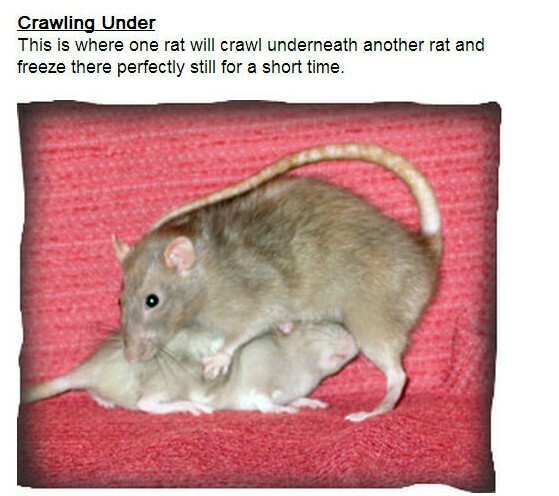 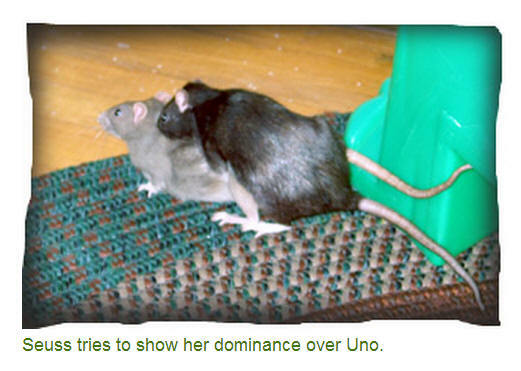 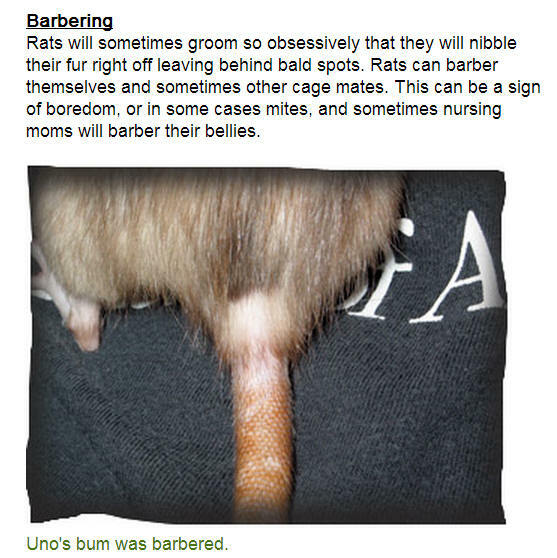 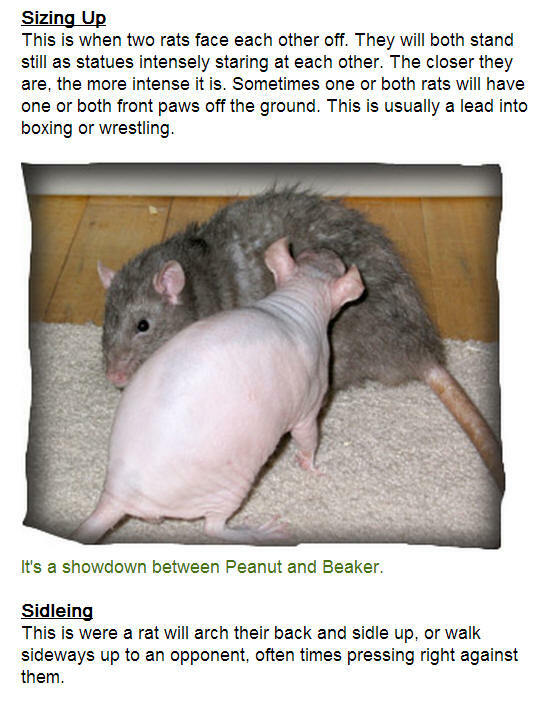 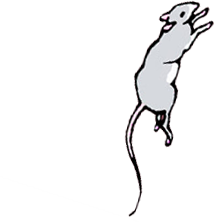 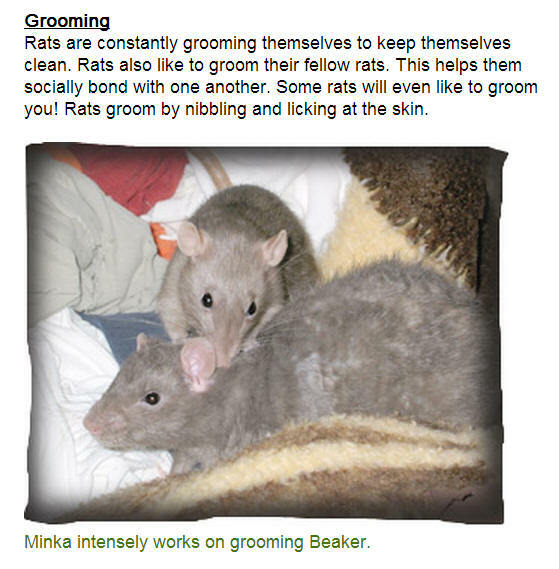 Grateful thanks to RattyRat for many years of published wisdom about pet rats, and for granting permission to JoinRats to host this content, including the fantastic photographs of pet rats in action. 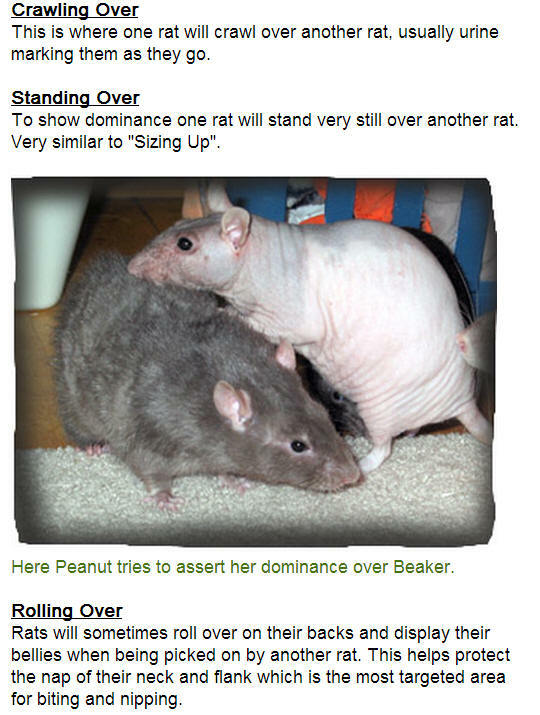 What is my rat saying with her body language?